IT WAS a long time coming for a lot of people but YouTube has finally taken action over the infamous suicide video their former golden boy Logan Paul uploaded on New Year's Eve. 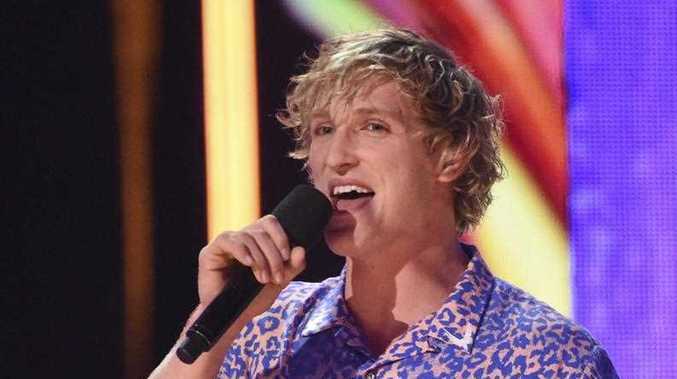 The 22-year-old personality, who has 15 million subscribers and is one of the streaming platform's top earners, will be punished by YouTube on a number of levels after he came under fire for featuring a man who had suicided in his most recent video. In a statement released today, YouTube said Paul would be disciplined in two ways. "In light of recent events, we have decided to remove Logan Paul's channels from Google Preferred," a YouTube spokesman said. "Additionally, we will not feature Logan in season 4 of Foursome and his new Originals are on hold." Google Preferred aggregates YouTube's top content into easy-to-buy packages for advertisers. Channels in Google Preferred are often considered "brand safe" for advertisers, meaning companies don't have to worry about their brands being affiliated with controversial or offensive content. Channels also benefit in that they receive the most lucrative and highest number of ads on their videos and in turn make more money. Foursome is a Red original series, YouTube's ad-free subscription service, and all the original content Paul was discussing with YouTube is also on hold. Meaning, the sequel to his popular Red original movie The Thinning is also on hold. Last week, Paul headed into Japan's infamous Aokigahara forest, a place where hundreds of people are known to commit suicide every year, and found a man who had taken his life just hours before. 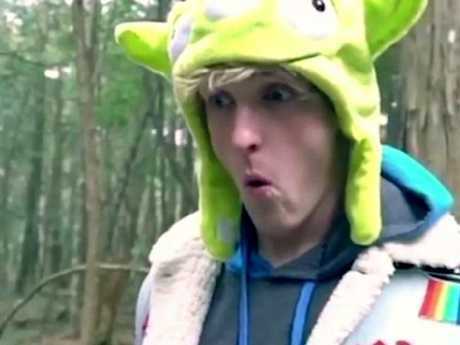 He later uploaded the video for his pre-teen fans, without age restrictions, featuring the body in the thumbnail and captioning it "We found a dead body in the Japanese Suicide Forest ..."
The video amassed more than six million views and hundreds of thousands of likes in the few hours after it was uploaded - YouTube even put the video in its trending section - a move the streaming platform came under fire for. It wasn't until fellow YouTubers and the media began to call out Paul for the confronting video, that he himself deleted it. Taking to Twitter yesterday, the streaming platform finally sent out a proper response to the controversy. "We expect more of the creators who build their community on @YouTube, as we're sure you do too. The channel violated our community guidelines, we acted accordingly, and we are looking at further consequences. A sentence in YouTube's statement yesterday specifically came under fire when it said it had "acted accordingly". The video was deleted by Paul only after he was called out by thousands of people and YouTube placed the video in its trending section - a page on the streaming platform's site that lists the most popular videos at the time. Logan Paul’s suicide forest video was in YouTube’s trending section. While the Trending page works mostly on an algorithm, drawing in statistics around engagement, likes and comments and the speed at which a video builds views, it is also constantly monitored by the site's technicians. Which means, despite YouTube admitting the video featuring the body of the man violated its community guidelines, it still decided to leave the vlog in its Trending section.